For Notes from the latest meeting and to see the 2019 Officials click HERE. All members are invited to attend and participate in club committee meetings. 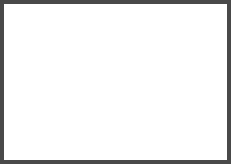 Please email your match results using the Tab on the Web Page and also enter the result on the sheets on the Notice Board. The 2019 Senior Section Captain is Peter Gibson. 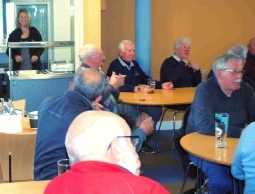 The seniors meet every Tuesday and Thursday morning and have a comprehensive series of home and away friendly matches with many of the local clubs. Click on the Calendar Icon below for information on forthcoming events. The Tiger Trophy is sponsored by Stalbridge Linen. 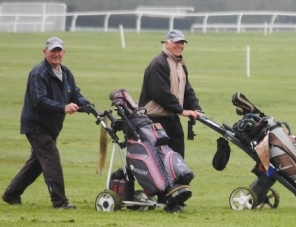 After several previous experiences of Wincanton weather it was with some trepidation that our loyal band arrived for the match on a very dull day but with only a moderate horizontal wind! 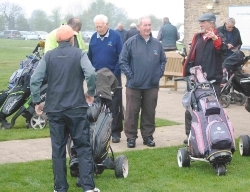 After the usual coffee and chat with the old familiar faces of the Wincanton Team our Vice Captain Roy (on his first outing in charge) set off round the course (an act he was to replicate in his car later, trying to find his way out!). 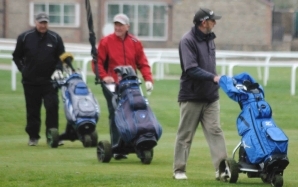 It was obvious that things were not going well when several of the pairings walked in after 15 holes to dodge the approaching rain and they had clearly struggled with the heavy dew that made the well tended greens very slow. Full credit to Wincanton Captain Alan and the team who played well and won the match by 5:1. Our Captain Roy thanked the Wincanton Team and the excellent Jockey Club hospitality provided by Ebony and the two Sams. We look forward to the return match in August. 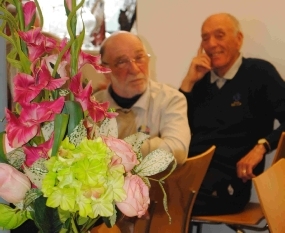 The march competition took place at Wheathill on Thursday 28 March. 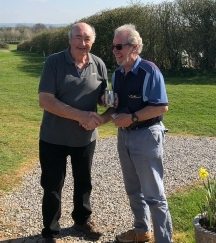 On a warm spring day with conditions near perfect the one and only Ned Compton-Dart maintained his current return to form with a very creditable 37 points. 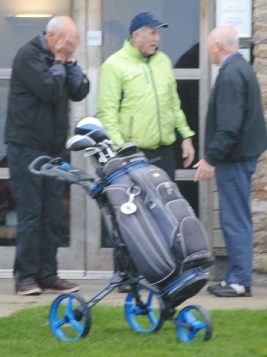 In second place and narrowly avoiding having to organise the next CCT event was Ian Tinsley with 36. 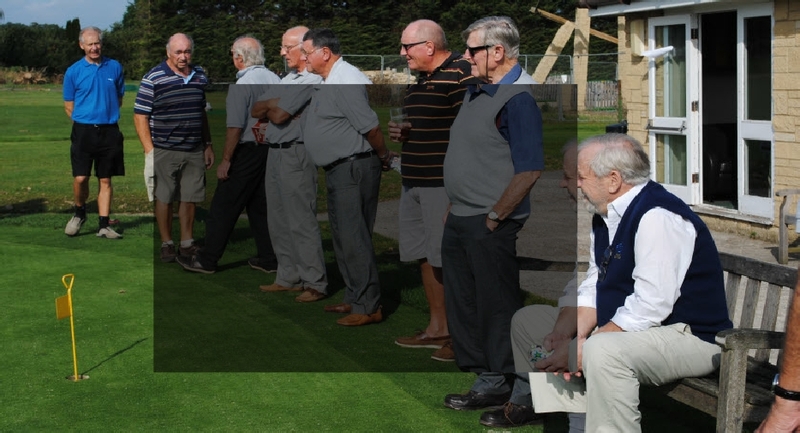 Nearest the pin on the 18th hole was George Taylor. Watch this space for details of the April CCT competition. Please arrive promptly - Cards will be drawn 15 minutes prior to the first tee-off.